A selection of new images of the PlayStation 5 have surfaced online, and they make Sony's next-generation console look incredibly sleek and desirable. Sony is no stranger when it comes to producing stylish games consoles, but the system shown-off here is a serious step-up. The PS5 appears to be thinner than even its svelte predecessor, the PlayStation 4 Slim. According to these images, PS5 will have a similar design language with the most recent output from the Japanese firm. The latest images come courtesy of technology blog LetsGoDigital, which designed these renders in collaboration with the Bonami SpelComputer Museum. 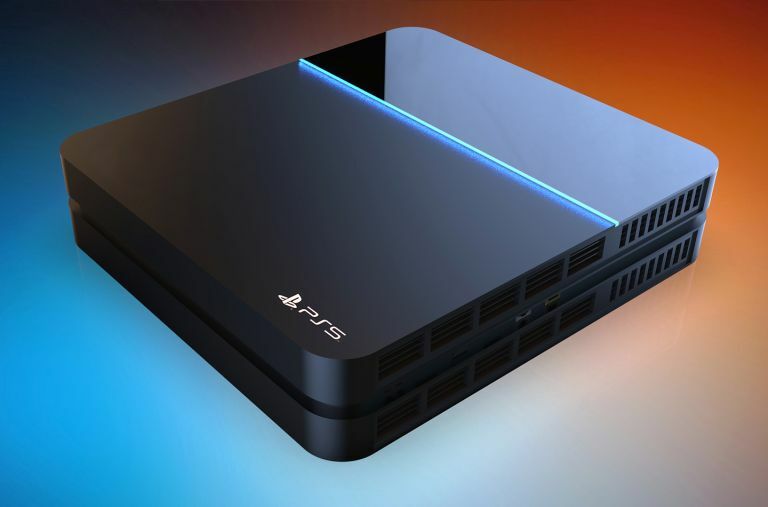 The design of the PS5 console is based on the recent (and very fake, we may add) PlayStation 5 console prototype leak that was reported by Russian tech site Rozetked. The prototype system, which can be seen in the image below, was unearthed by an anonymous source and supposedly met an earlier specifications rumour that gained traction earlier in the year. This claims the next-generation console will sport an eight-core Ryzen chipset with Zen+ architecture, a Vega architecture graphics processor, and a suite of GDDR6 memory. The latest concept images follow a recent video trailer for the forthcoming console by French designed Joseph Dumary (see below video), who showed a similarly futuristic new PlayStation equipped with a suite of next-gen hardware and features, including mighty Ryzen2X processing power, 8K resolution compatibility, wireless charging and a curvaceous new DualShock 5 controller. Will the PS5 support an 8K resolution? Probably not, with a Christmas 2019 release date suggesting Sony will instead plump for 4K / 60fps instead. However, if Sony's secret covert operation to launch the PlayStation 5 two years early doesn't come to fruition, and the console is indeed to hit store shelves as late as 2021, then 8K is definitely not off the table. After all, we're seeing the first 8K TVs being introduced to the mainstream commercial market right now (such as the astounding Samsung Q900R), so it can't be ruled out entirely. An 8K PS5 powerhouse console alongside a brand new 5G PlayStation Portable (PSP)? That would be a generation-winning, Xbox-smoking mega play.